I saw this radio in the background of the mansion kitchen scene (set in Singapore but maybe filmed elsewhere). Can anyone identify it? File comment: as seen in "Crazy Rich Asians"
Could be a Philips. Somebody just posted something similar on another thread. Second guess is a Telefunken. Telefunken did have similar looking sets, but you're right John, this one looks like a Philips. That look VERY close! Thanks for the tip! It looks like something similar to the B5X23A and B4X23A. There is also a B6X23A. To me it looks mostly like the B4X23A, but without some of the switches and with a bigger top metal strip. 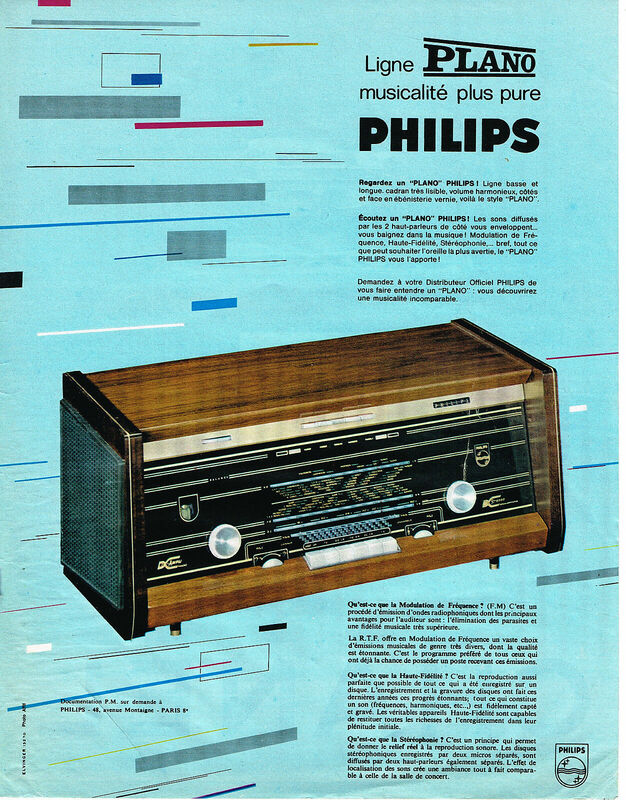 So it is something from the Philips Plano Bi-Ampli Stereo line of radios. Oh please. Don't let this get out or some ebay seller will have up "Philips Crazy Rich Asian Radio" for sale, and expect Walton money for it. LoL. I really think the fans of that movie really didn't notice the radio! I was stuck watching and looking at the backgrounds. I saw the movie last night and pointed out the radio to radiobabe. Your icon, by any chance? the radio in the movie doesn't have the white thumb wheel controls beside the push buttons. it's probably just a plain jane B4X47A like this one pictured below. Here's the link to that other movie radios thread. Cheers! Yup that B4X47A is it! Good find Rocco! Right knobs and shiny top bar. I do think this is still a "Plano", as that was the style I think. But no "Bi-Ampli" and not "Stereo".